For the last 34 years, a king has ruled over the land that is Medieval Times. This time around, a woman holds the reins. 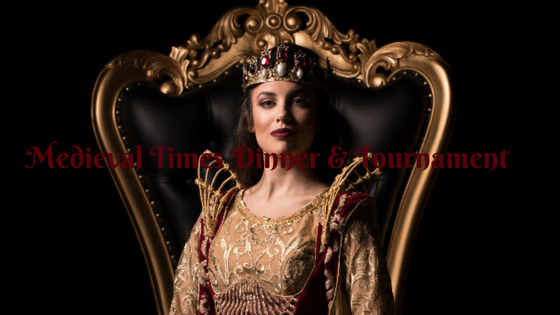 When Medieval Times Dinner & Tournament was founded in 1977 in Spain and brought to the United States in 1983, the 65 million guests that have since seen the show have never seen a queen as the sole ruler of the land. Queen Doña Maria Isabella is a firm but kind ruler who is well-respected throughout the kingdom that her father once ruled. After inheriting the throne, the queen quickly asserts herself as a strong leader and dominates the show both on her throne and on horseback. For the first new show since 2012, Medieval Times went above and beyond what generated from audience feedback to introduce a show that is unique and primarily focuses on a female ruler. The show that everyone has come to love – jousting knights, swordplay, horsemanship and a four-course feast – is still present, alongside brand new additions. Beyond the script change, more than 700 costumes were created for each of the nine castles located in the US and Canada. The costumes for the performers and horses were custom-designed and hand-made, as were the 200 new suits of armor, shields and helmets. Alongside state-of-the-art lighting and newly choreographed fight scenes and equestrian displays, new music was composed by Dr. Daniel May. He is a composer and jazz pianist who scored films such as Everest and has worked with the likes of Sting and The Moody Blues. The score is synchronized with every movement of the show as in a live-action film. The night can begin early for some, with time to explore the dungeon, stock up on souvenirs and even meet the Queen herself at a knighting ceremony. When led into the main hall, the colors of each table section represent each of the six knights – red, blue, green, yellow, black and white, red and yellow – and each audience member receives a crown and flag in their knight’s color. During the two-hour show, a four-course feast for a king is served – from tomato soup and garlic bread to roasted potato, corn on the cob and the infamous “baby dragon meat”. Have no fear, while silverware was not yet invented, doggy bags were. Medieval Times’ latest show leaves you in various mental states; either joy or sorrow depending on if your knight was the ultimate champion, absolutely stuffed from four courses of heavenly food, elation from finally seeing a queen as ruler, and most likely a sore throat from cheering and/or booing. It’s a show worth seeing, no matter your age.